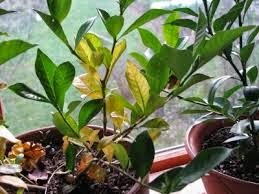 Coffs Harbour Garden Club: Yellowing Leaves? 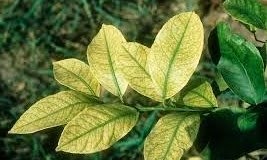 Iron deficiency first appears on new young growth and if those leaves grow yellow, there is a very good chance there is an iron deficiency in the soil. This is treated by watering in Iron Chelates around the plant’s drip-line once every spring and once every autumn. If, however the yellowed leaves are older leaf growth (and the new growth remains green), this might indicate a Magnesium deficiency. In the Coffs area (because of our heavy summer rain and the water solubility of Magnesium) this deficiency is best treated by diluting Epsom Salts at the rate of one teaspoon per litre of water and spraying over the foliage once a month during summer.